Preheat your oven up to 350 degrees. Spray the baking pan with a cooking spray. Combine the cake ingredients and use an electric mixer to mix for about a minute. Put the batter into the pan and put it in the ﻿oven to bake for about 25 minutes. When ready, let it cool completely. Make the cranberry butter by combining the cranberry ingredients except the vanilla. Mix them in a saucepan over heat. This should take about 10 minutes or less. As soon as the cranberries start to burst, reduce the heat and simmer the mixture for about 10 minutes more. Let the sauce thicken and then take it from the heat. Add the vanilla and stir to mix well and allow to cool completely. Combine all the frosting﻿﻿ ingredients. The mixture should be fluffy and light. Slice the cake into two, from the top to bottom. Pour the cranberry butter on the half of the cake. Cover the butter with the other half. Heat the oven up to about 350 degrees. Butter your pan and set it aside. Mix the flour, baking soda, baking powder, and the salt in a bowl. Boil water and sugar in a saucepan to combine. Simmer and stir to ensure that the sugar dissolves completely. Take the saucepan off the heat and add the butter. Stir the butter until it melts. Allow the mixture to cool slightly and add vegetable oil, the scrapped vanilla bean, and the vanilla extract. Add the eggs and mix quickly to prevent cooking. The batter can be poured into two pans for baking. Bake them for about half an hour. When ready, a toothpick should come out clean. When ready, let the cakes cool to touch. To prepare the vanilla buttercream, cream the butter until it is fluffy and light. Add the powdered sugar slowly as you mix. Ensure that you mix thoroughly as you add the sugar in portions. Add the vanilla extract as you mix/ then add 3 tablespoons of milk and continue mixing. If the mixture is too thick, you can add the remaining milk. Put a thick layer of the vanilla buttercream between the cakes. Spread a thin layer on the top and the sides. Place the cakes in the freezer for about 10 minutes. This will help to harden the frosting. Take the cake out of the freezer and spread a thick layer of the frosting on the outside. The cake can be kept in the fridge if you are not serving. A white cake mix or yellow butter cake. The cake should be baked according to the given instructions. Slice the cake horizontally and wrap it in the plastic wraps until ready to use. This will give you the two thin layers. In a small bowl, pour 2 tablespoons of water. Add the gelatin and allow the mixture to sit for about 10 minutes. In a saucepan, boil a cup cream and add the hot cream mixture to the gelatin to make it soft. Stir the mixture until the gelatin dissolves. Keep it in the fridge until it cools. Put the chilled cream, vanilla extract, and the sugar in a bowl. Mix them well with an electric mixer. Add the cold gelatin mixture and continue mixing. You can put the mixture in the fridge if the cream is not getting firm. It should be firm and spreadable. Cut the cakes in the middle to get long rectangles. Put a piece of the cut cakes on a baking sheet that is covered with parchment. Spread the gelatin mixture over and cover with another piece of cake. Spread the mixture on the top piece and place another piece on top. Repeat this procedure until the cake pieces are over. 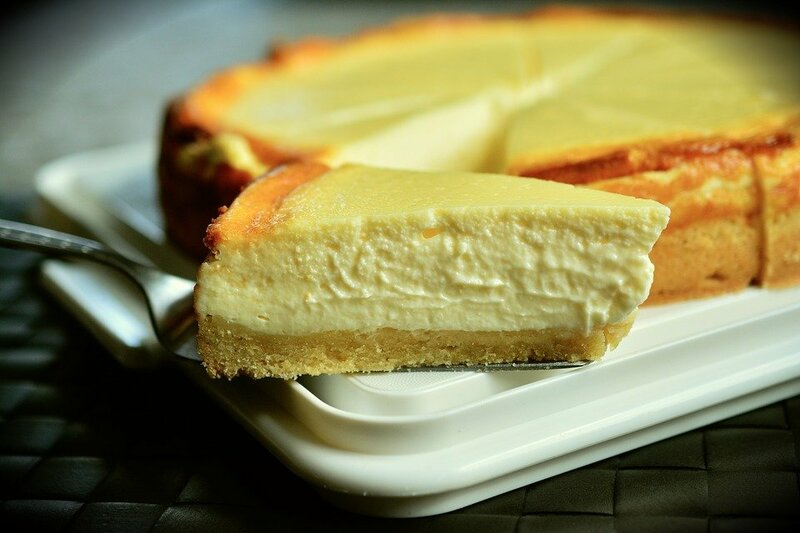 Use the vanilla cream to cover the top piece and the sides. Use a plastic wrap to cover the cake. Allow it to sit for about 3 hours to help the cream set. This is also a poke cake. It is easier to make the cake in the crockpot. Grease the crockpot well and prepare the batter using the given instructions. Pour the batter into the greased crockpot. Set it on high and cook for about 3 hours. You can check it after 2 hours if it is ready. Take the crock from the slow cooker and place it on the rack to cool. Make holes on the cake by using the end of a wooden spoon. The holes should be an inch apart. Mix the cold milk and the pudding mix and pour it over the cake immediately. Let the pudding to enter each hole. Spread half of the dulce de leche over the pudding. If the dulce de leche is hard to apply, you can warm it slightly in the microwave. Put the crock in the fridge for about 2 hours. Put the remaining dulce de leche in a bowl. You can warm it slightly. Add a tablespoon of cream and mix well. You can add more cream to make the dulce de leche lighter for drizzling. Take the cake out of the fridge and cut it into squares. On each piece, top with the cool whip and drizzle the thinned dulce de leche over. Grease the c﻿﻿ake pan﻿﻿s and coat them with sugar before you set them aside. Preheat the oven up to 325 degrees F.
Mix the butter, sugar, and the vegetable shortening in a bowl. You can use an electric mixer. Add the eggs and continue mixing until creamy and light. Add the vanilla and the buttermilk. Add the flour, salt, and the baking powder. Mix for about 2 minutes. Pour the batter into the baking pans and bake for about 45 minutes. Ensure that when you insert a toothpick, it comes out clean and dry. You can cover with a tin foil if the cake is browning before it is ready. When ready, take them from the oven and let them cool for about 10 minutes before you take them out of the pans. Let the cakes cool completely before they are frosted. Combine the butter, half and half, sugar, and the vanilla. Mix them properly until you get fluffy and light mixture. Pipe the buttercream icing around the exterior edge of one cake that will be at the bottom. Pour the raspberry jam at the center and place the other cake on the jam. Frost the entire cake. Start with the sides and finish with the top. 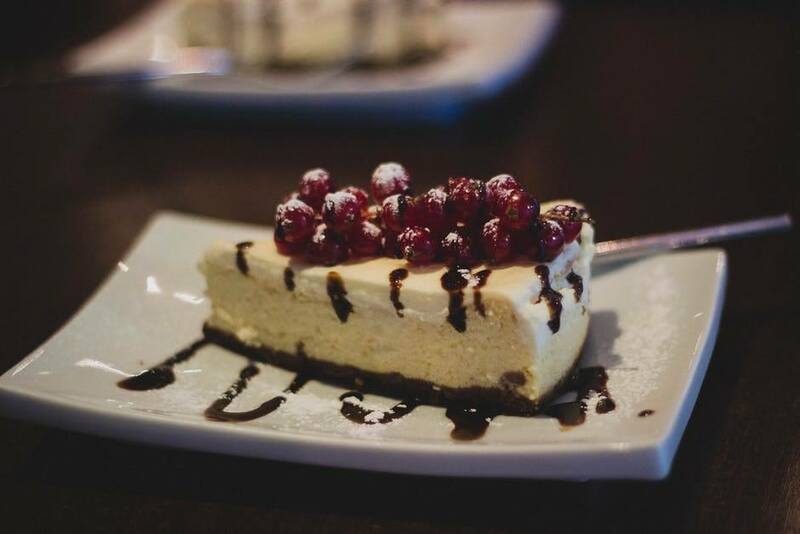 Serve and enjoy this dream cake. Did you enjoy reading following the recipes? 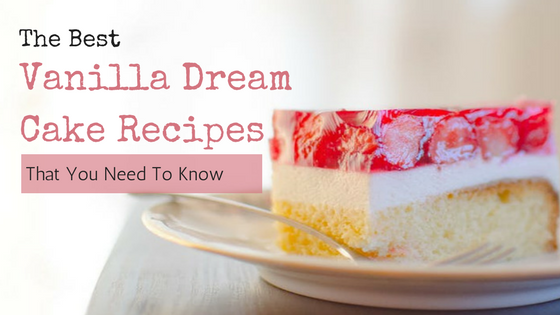 The above recipes have a simple step by step guide that will help you to prepare the vanilla dream cake. You can make changes by substituting some of the ingredients. 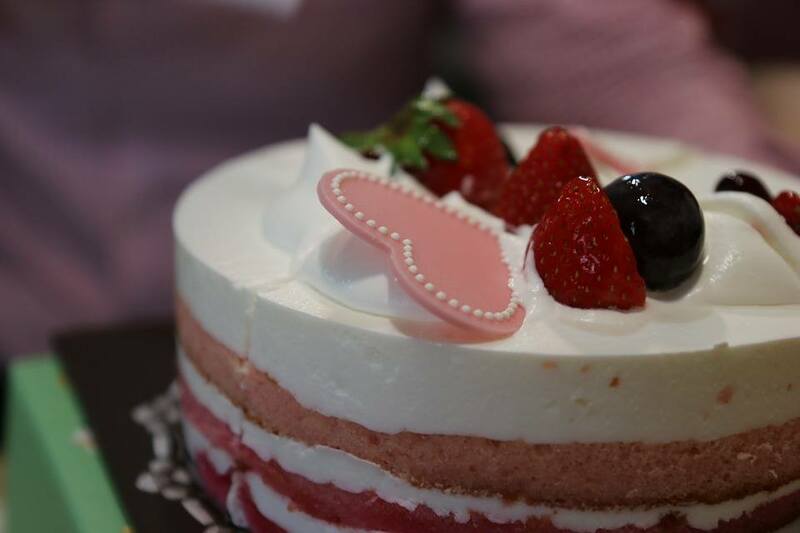 Have you ever made the dream cake? Feel free to share the experience, ideas, and tips below.